HG stainless steel quick shine brings an amazing shine to stainless steel surfaces and is and is indispensable in the kitchen. HG stainless steel quick shine is a ready to use product that maintains, protects and polishes dulled surfaces. It also makes them resistant to dirt and grease, making cleaning much easier. The specially selected mineral oils ensure that the results last for a long time. 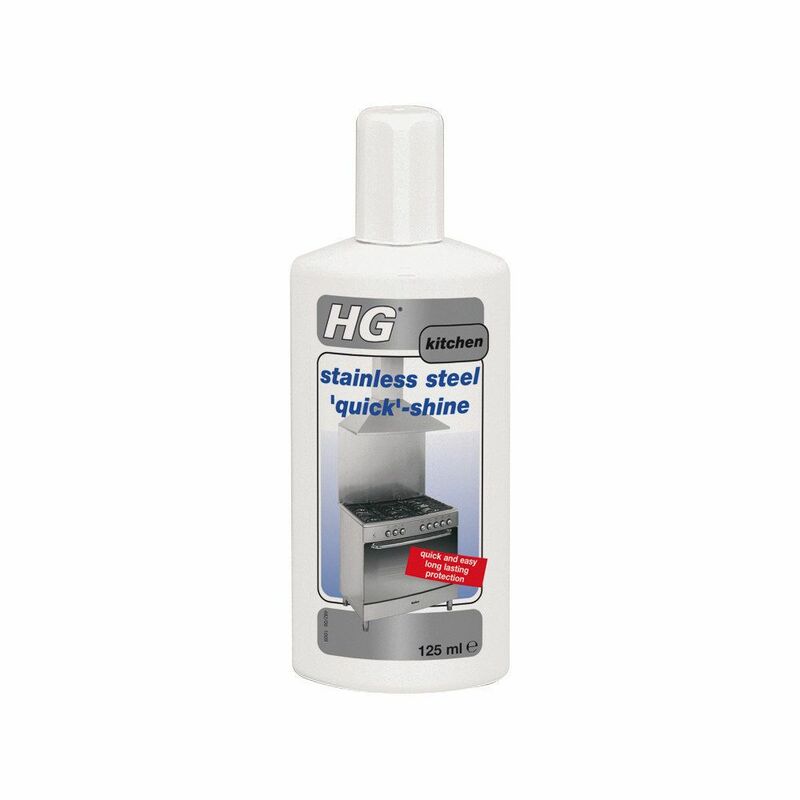 HG stainless steel quick shine can be used on cooker hoods, fireplaces, etc. Remove any dirt or grease first of all with HG grease away, for example, and then rub dry. Put a few drops of HG stainless steel quick shine on a non fluffy cloth and rub evenly into the surface.